How to make money on apps? Mobile developers are still divided on how best to monetize mobile apps, according to the latest Mobile Developer Report survey by mobile development framework maker Appcelerator and market research firm IDC. A full 50 percent of the developers surveyed ranked attracting new users who buy software from an app store as a top priority going forward, down from 59 percent earlier this year. 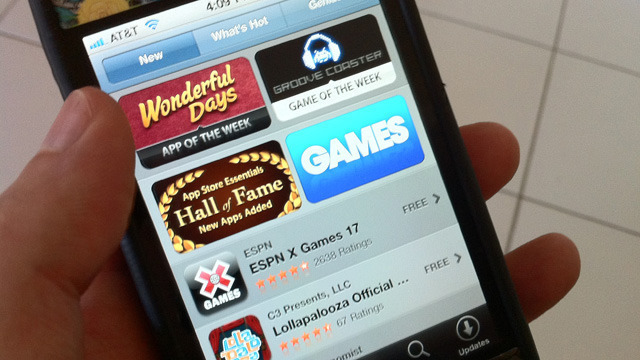 Another 50 percent ranked in-app purchasing as a top business model, up from 42 percent earlier this year. Despite the differences in business strategy, however, developers are increasingly incorporating cloud services, which one developer described to Ars as "very, very, very nice." Appcelerator and IDC conduct a quarterly survey of mobile developers, and the latest update reveals some trends in business model preference. Among the 2,000 developers surveyed, those expecting to earn a payday via app store purchases alone is trending downward, while those relying on in-app purchasing is trending upward. Half of the respondents said they planned to use, or will continue to use, each of those models for the next year. The percentage planning to rely on ad revenue remained mostly flat at about 45 percent.